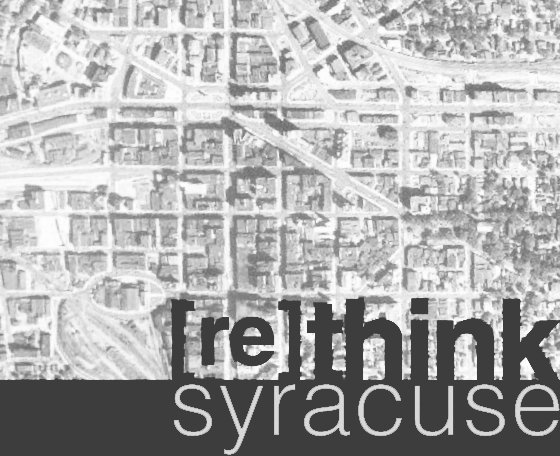 The term "sprawl without growth" has been tossed around more and more lately, specifically when talking about Onondaga County's development over the past few decades. Generally put, the sprawl in this term refers to the thousands of new houses and dwelling units built on greenfields throughout the county, supposedly fulfilling a demand for an increasingly county-bound population. Yet in reality, the population of the county has remained relatively steady for the last half-century, while the city population has declined -- this is the without growth portion of the term. Put simply, people were abandoning city homes in favor of newly-built structures in the suburbs, requiring ever-more and brand-new water, sewer, road, and electrical infrastructure at large expense. At the same time, the city is forced to maintain all of its existing infrastructure with a dwindling tax-base. Both city and county ultimately lose, as the same amount of tax income is stretched thinner and thinner over a continually-spreading land area. 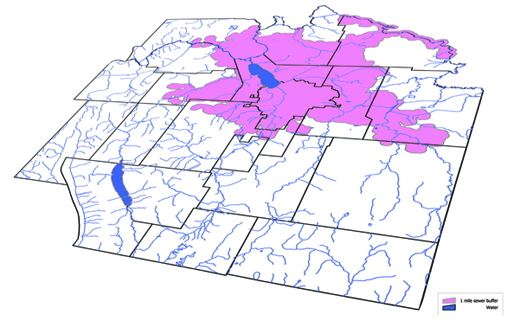 The pink area in the map above depicts all areas currently served by county sewer infrastructure. So what to do? Sam Gordon of Plan•it, a local planning firm+thinktank, smartly proposes containing all future development within areas served by current infrastructure, allowing it to back-fill underutilized land and increase the region's density. Such a plan is part of his grander proposal for a county greenbelt that not only encourages smart growth, but provides a framework to better-connect county amenities. 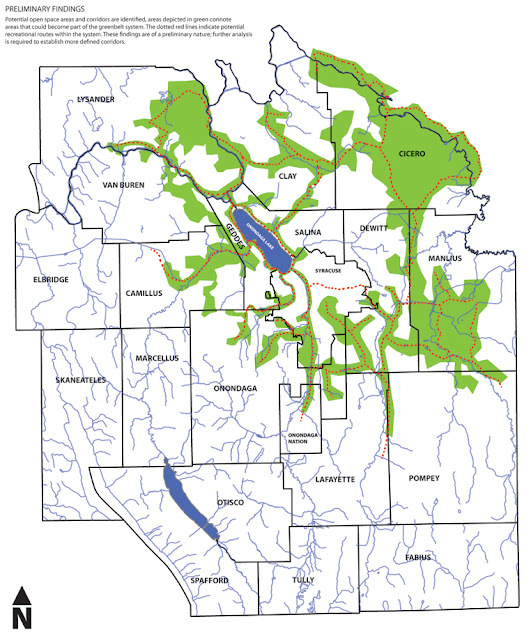 The Onondaga County Greenbelt takes into account all existing infrastructure, the built environment, the natural landscape, parks, transportation networks, and vacant land in order to outline a contiguous "belt" of protected land around and throughout the developed region of the county. 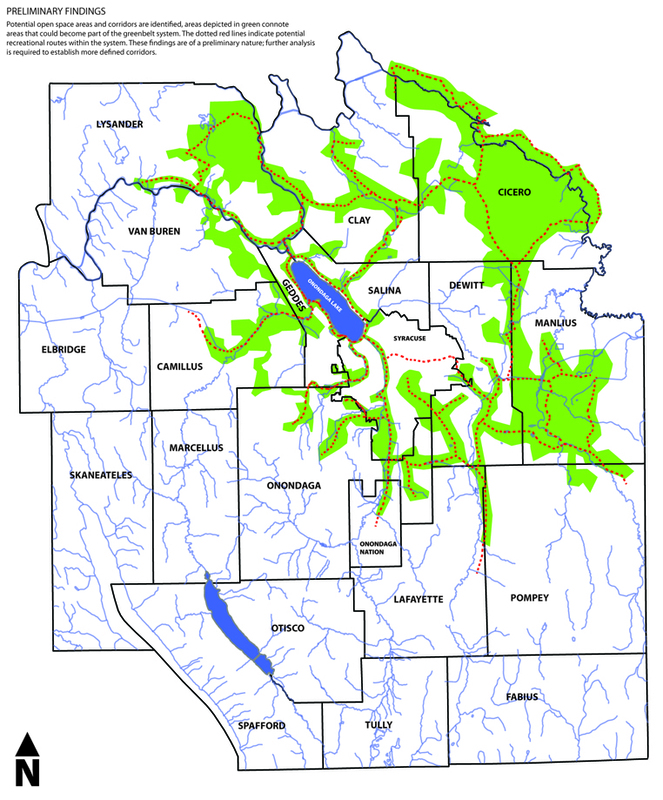 As an added bonus, the greenbelt would allow for a network of trails, both recreational and practical, that interconnect among parks, attractions, urban and population centers, and the larger state-wide canal corridor. Such an endeavor merely requires some well-written legislation to designate and regulate the area and limits of the greenbelt, and some sort of entity that creates and maintains the trail system. Just imagine how an interconnected system like this could encourage development in all the right places, while at the same time providing additional transportation routes and recreational options. Good job, Jason. I agree.